My goodness… does anyone remember when the Chroma Squad Kickstarter happened? There there was the whole mess with release dates and stuff? Yeh? No? Well I don’t. I just heard about Chroma Squad a few days ago. 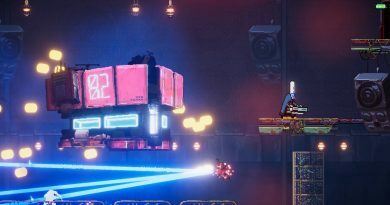 This game is proof that there is just too many cool game concepts out that, while I may not have time for them all, are way too under my radar. I’m now realizing why indie developers always link other Kickstarters in their emails. Giant mechs fighting giant zombie construction workers… this game has… everything? 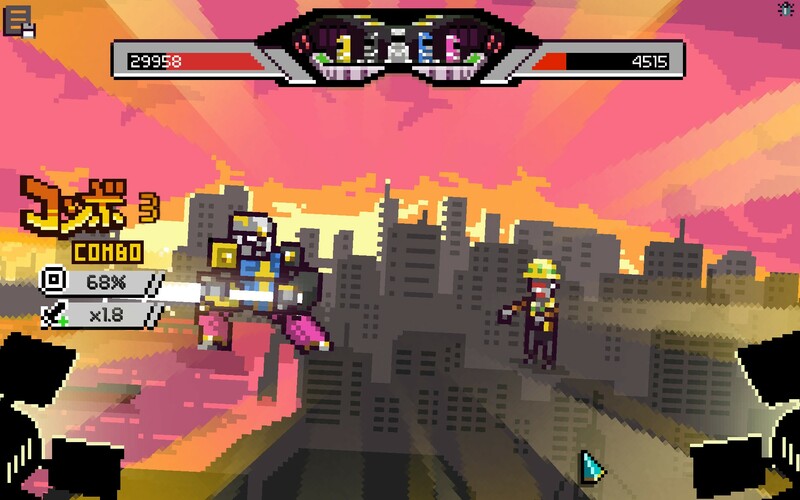 Chroma Squad is a tactics game based on the concept of the Power Rangers’ show. The literal making of a Power Rangers’ show. 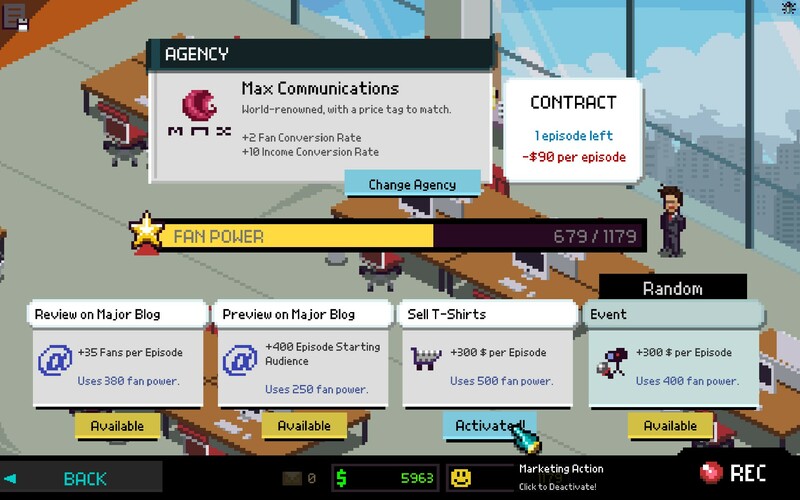 Chroma Squad, at its heart, is a TV show simulation game. You start out as the five stunt-people (of your choosing from default characters and Kickstarter backer-based characters) that get tired of taking orders and decide to start their own show. You make your way into one of the stunt-person’s uncle’s warehouse (in my case “The Fro”) and find that it has a giant-floating-spikey brain in a jar (which isn’t creepy in the least) and decide to use it as their own personal Zordon. Traditional tactic-game setup with the square-movements, but don’t bet thinking the game lacks much depth. Once you get into it, the crafting/equipping, moves coordination, and other management outside of the fights (that affect the fights) give this game a bit more to think about than what I expected to find here. Now it was listed in the video for Chroma Squad that you’ll get a better reviews for the episodes you record with better and flashier moves you’ll do during the show, but I wasn’t totally convinced of this until I just went around one-hitting the baddies in the second episode. (Let’s just say the tweets were bad for that one.) This part is right up my alley because my favorite moves and/or characters are usually the ones with the flashiest move sets because I am a visually stimulated person and things look cooler with explosions! That’s where teamwork comes in. If you set one of your people to be in the “Teamwork” mode and another Chroma warrior attacks, the ones waiting in that mode will join in for extra damage and a bonus to viewers added. The more surrounding a bad guy, the more damage you’ll do. If all of your buds are waiting around the same bad guy and you’ve put on your Chromatic suits you’ll do a super-special Chromatic finishing move complete with a catchphrase, light beams and power stances… good stuff all around! You can also hire people to publicize your show for you. Like other upgrades to your studio though, you don’t get the pluses without the minuses. Everything has a cost per episode. You’ve got to balance it though so you don’t put yourself in a hole. It gets even deeper when you start crafting with drops from the level. Upgrades to your armor and your eventual mech are all done with common items like DuctTape, leather and cardboard boxes. I recently upgraded my mech with a cardboard box and silver duct tape and that just made me laugh. I have to admit that playing five stunt people who started their own studio and are making ends meet and working with what they’ve got is pretty stinking interesting and also kind of cool. Chroma Squad is a solid title. It’s good as a tactics game, but excellent as a parody of the making of a Power Rangers show. The option to upgrade your armor, weapons and mech with common items like play-do and cardboard is hilarious and fun. It definitely sets itself apart from most RPGs in that aspect, but still it’s an RPG. There is humor and humor based on nostalgia and I enjoyed both! However, at its core it’s a TV show simulation and so it all comes down to money and fans attained by the end of each episode. Maybe it gets a little easier at the end game with more things to defeat or something, but the same issue bothers me now. Since you obviously want the most viewers and money, I find myself dragging fights out to complete achievements/goals and to max out that bar. Is it necessary? Probably not too much, but it also feels like it is. Maybe it easier for some, but that meter is not my friend at times. On another note, that may not bother me as much as it does here if I could take this game with me on the go… say on my Nintendo 3DS? That would be pretty sick! Pick-up-&-play may have been better for this game for me.